What’s A Buzz Cut And Will It Work For My Face Shape? 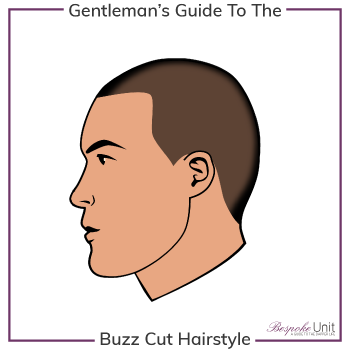 A Buzz Cut, as the name suggests, is a style achieved by clipping the hair. Sometimes interchangeable with the Crew Cut, we prefer to consider the Buzz as a separate entity given its uniform short length where-as Crew Cuts often use fades and tapers on the back and sides. However, like the Crew Cut, The Buzz Cut’s origins stem from the Second World War as a method to control lice infestations among soldiers that were kept together in cramped conditions. In the military, the tradition endured. The Buzz Cut is still used today among the military not only for hygiene but also because it promotes uniformity. Further more it incites a team spirit by putting all the troops on the same level. Buzz Cuts became immensely popular among civilians after the Second World War and it’s understandable as to why. It helps define the face and bring out its features while offering a low-maintenance hairstyle. Buzz Cuts are particularly stylish with a light coat of Stubble or a beard of equal length. This frames the face with texture and can be hardened or softened depending on length. It’s also a practical solution to mild to severe hair loss. When combined with the right attire, a Buzz Cut can make a killer statement. With good quality clippers widely available on the market, Buzz Cuts are a fashionable DIY solution for the frugal. What Are Military Buzz Cut Regulations? The Butch is the longest cut between the three, obtained with guards between 3 (0.9 cm) and 5 (1.6 cm). A less chiselled and softer look than its shorter variants, it can be styled with hair products. This would be a recommended compromise for men with larger than normal ears. The Burr cut is identical to the Butch except that the hair is a little longer. Here we’d use guards between 1 (0.45 cm) and 2 (0.6 cm). Largely known as the number one, it’s a great compromise between the Butch and Induction, which offers a balance between texture and definition. Finally, the Induction earned its namesake for being the haircut given to fresh recruits. It is the shortest of the three types and the closest cut you’ll ever cut without using a razor blade. It is obtained with clipping the hair without a guard, which is why it is sometimes referred to as a “0 cut”. Will A Buzz Cut Suit My Face Shape? There are two overall factors to take into consideration with Buzz Cuts. Firstly, they offer only soft texture on their own as there are no changes in length. However, hardness and texture can be added through facial hair and Stubble especially. Secondly, as Buzz Cuts are equal in length all over, they don’t actually adjust your facial proportions per se but take away anything that manipulated them. Instead, they reveal your true structure and all its imperfections. Don’t be afraid of as this may be exactly what your face shape needs. We base the effectiveness of a hairstyle according to the 7 different face shapes that we’ve outlined. 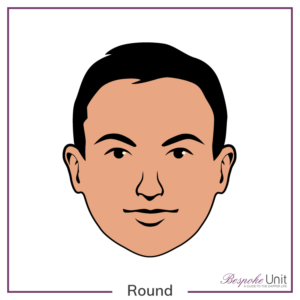 You can identify your own face shape to use this guide for you too. 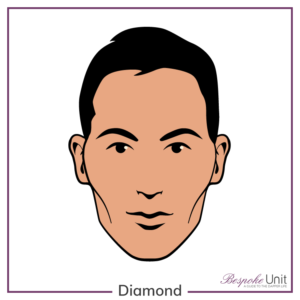 With their sharp features and pronounced cheek bones, Buzz Cuts will flatter a Diamond face shape. It will reveal their features whilst simultaneously softening them. Just be wary of dumbo ears if you have them as you won’t be able to hide them afterwards! 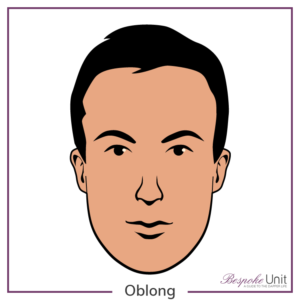 Oblong faces often struggle with certain styles due to their length. 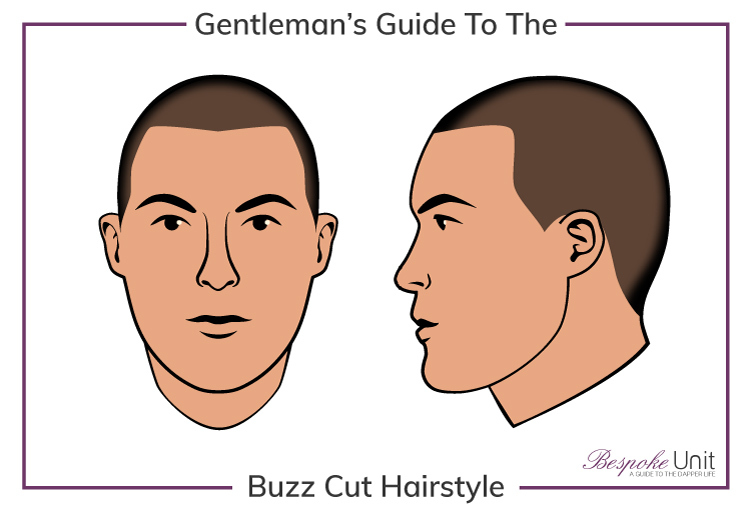 They can use the Buzz Cut to reduce it and even create the appearance of more bulk in their features. 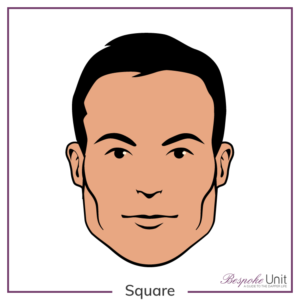 Square faces fare the best with a Buzz Cut. Their hard features such as their jawline are highlighted by the light texture and the cheeks will appear straight. Square faces will Buzz Cuts tend to be reminiscent of military action heroes so enjoy the compliments as they come flooding in! Heart shaped faces should tread carefully with a Buzz Cut as it will reveal too much forehead and take away their maturity by leaving a baby face. 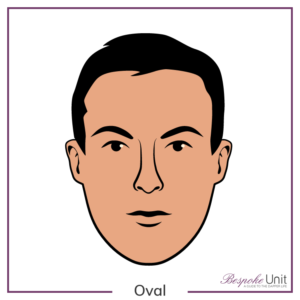 Oval shaped faces will see their features soften with a Buzz Cut. Although a light coat of stubble can significantly improve this, there is always a chance that the face will become round with a Buzz Cut. Triangle faces may have more difficulty in making the Buzz Cut work for them as although it will bring out their strong jawline, it will throw off the forehead’s proportions. Stubble will overcome this to some degree. Try to edge towards longer buzz cuts with heavier Stubble if possible. 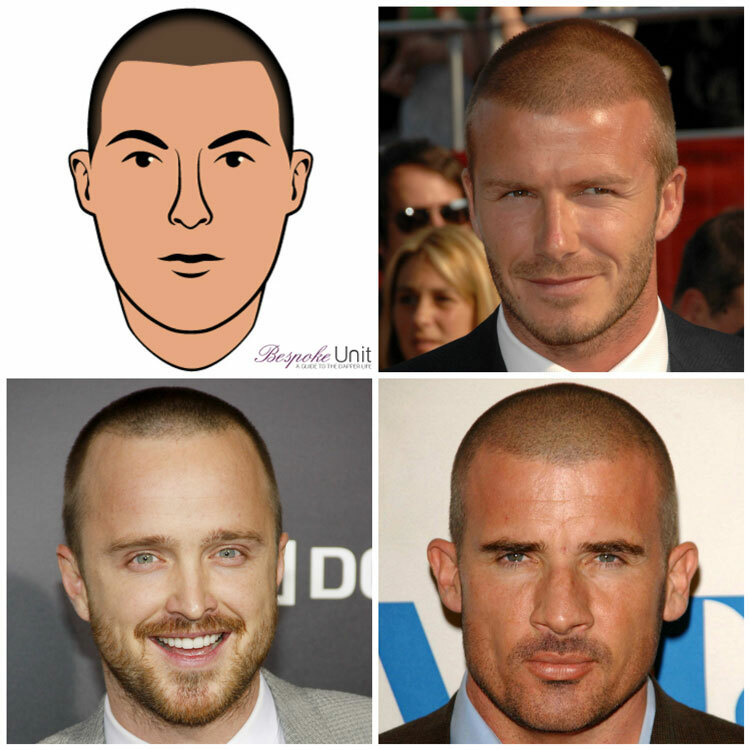 Round shape faces will struggle here as Buzz Cuts lack the necessary texture to render their faces more angular. They would benefit more from a style featuring contours such as a Fade or an Undercut.